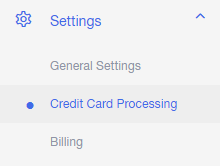 Description and instructions on how to use Stripe credit card processing. One of our strongest recommendations to clients using our fundraising capabilities is to enable credit card processing. Credit card processing allows for your guests to pay for donations, tickets, and bids directly from their mobile device or computer. This leads to increased ease for your guest, higher proceeds, and more efficient checkout. 3. A pop-up window will open where you will be asked to enter additional information to create your account. Please fill this information out accurately. Note: If a pop-up window doesn't appear when you click Connect with Stripe, unblock pop-ups in your browser. This video demonstrates how to access the popup if it is blocked by the Chrome browser.